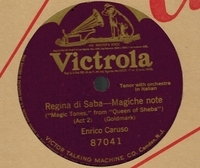 R0212. 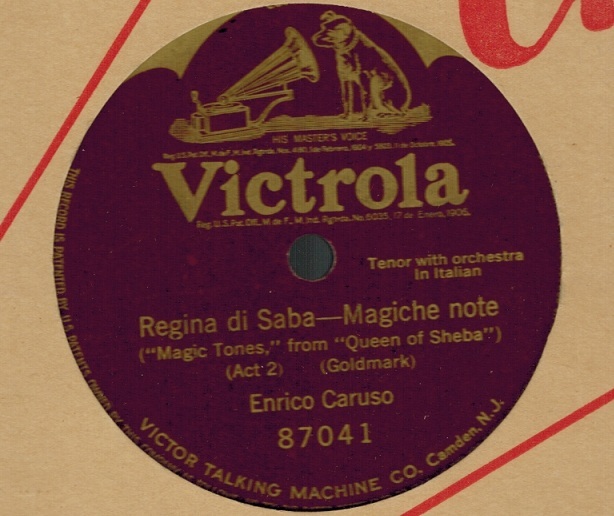 ENRICO CARUSO: LA REGINA DI SABA – Magiche töne (in Italian) (Goldmark). 10” AC Vla 87041, POM-7 Nov., 1909. Exceptional copy.